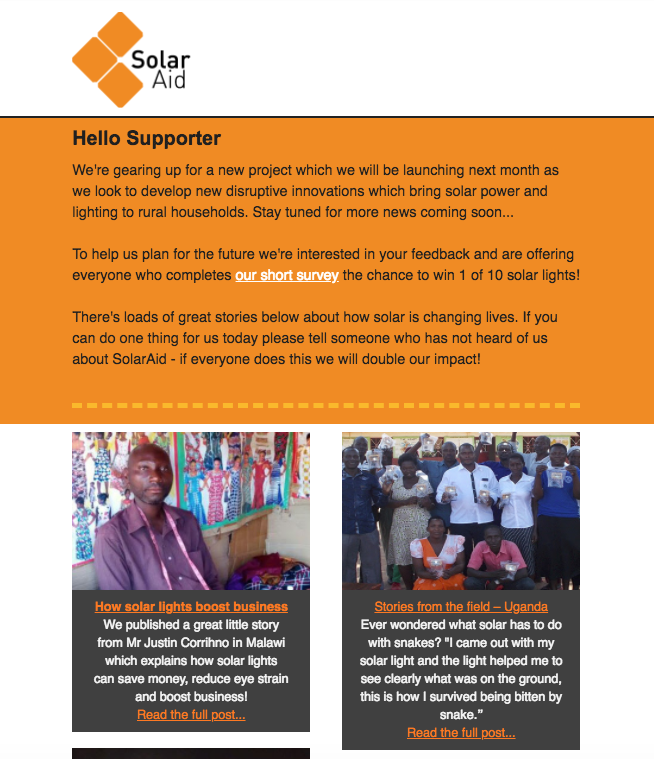 SolarAid’s email recently hit my inbox with a donor-focused enewsletter and survey invitation. The newsletter highlights stories of what your gift makes possible. The survey gives their supporters the power to impact the organization’s future. And the email subject header instantly opens a door, welcoming donors into SolarAid’s work and mission: Where now for SolarAid? – Have your say! Something else worth mentioning: the enewsletter’s format serves as a curated space for great news that’s been woven into some powerful narratives. 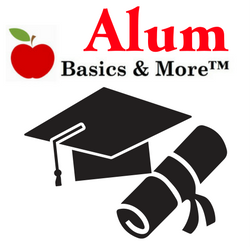 Each story has its own preview, along with a link to read it it entirety. The fact that I can reply to the enews email directly adds yet another sweet note, tying everything together and lending a personal touch. Usually, I expect replies to these kinds of emails to land in a place fondly known as Interwebs Nomansland. Regular surveying provides your supporters with an opportunity to use their voice, and strengthen donor relationships. To have a chance to be the kind of change you want to see is very special. Nonprofits should give their donors this kind of power more often, and a survey is the perfect way to do it. When we fail to recognize our donors’ role in our work, we are no better than the foundation funders we accuse of not listening. Welcoming feedback from those who feel close to your work can lead to real community.